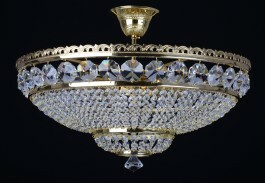 The luxury Strass basket chandelier decorated with Strass chains, cut trapezoids and diamond-shaped crystal trimmings. 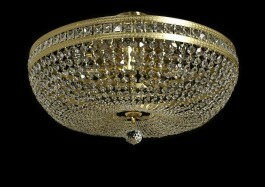 The glossy pressed brass parts. 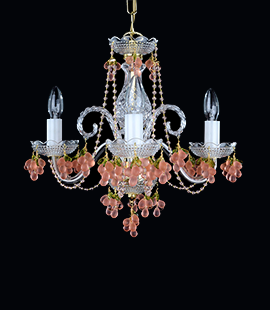 6 candle bulbs. 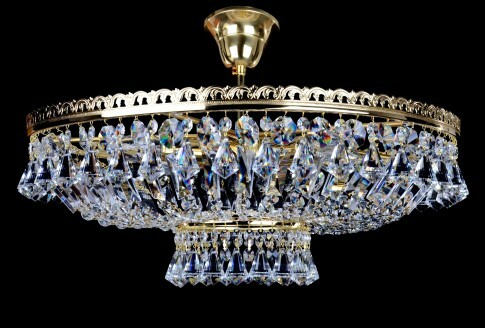 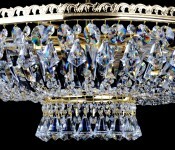 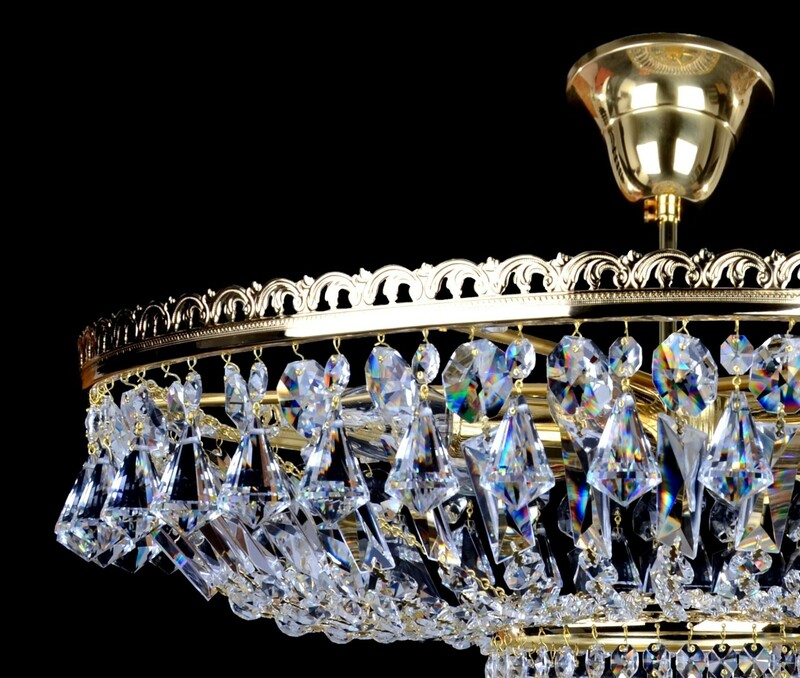 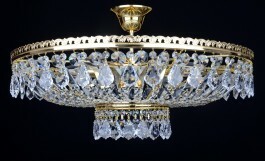 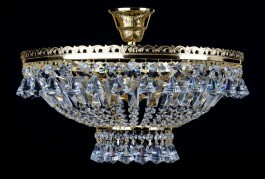 The luxury basket Strass crystal chandelier. 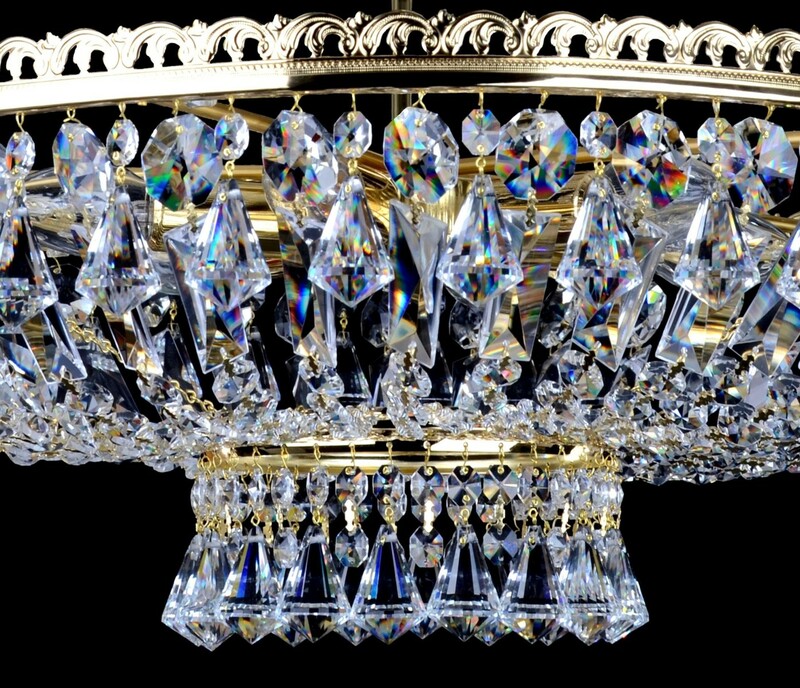 Dimensions (W x H): 60 x 31 cm/ 24.5"x12.7"